Welcome to VagiaMare. 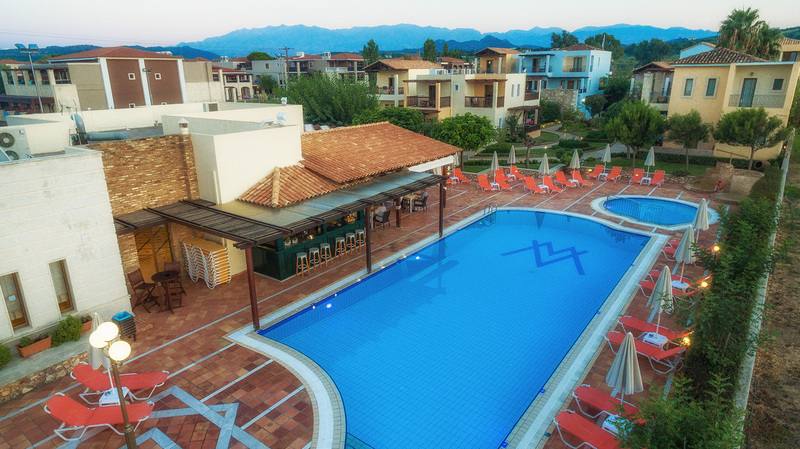 Our hotel is located at Gerani 2 kilometers after the touristic area of Platanias of Chania and 150m from the seaside. The hotel was built the year 2002. Its design is modern while the hotel covers 4000m2. Our hotel this year will cooperate with the following agencies of Thomas Cook. Feel like home. Vagiamare and its friendly staff will make your vacations exceptional! Vagia Mare Hotel can host you in 3 different ways. sattelite TV, air conditioning, ktichenette, fridge, safe box, telephone, and music.